A brand, business, cause or charity has but a few ways to initially make a good impression among others. A quick summary of its mission or offerings can be a way to lure customers or volunteers to engage, or a well-designed website may prevent bounce rates from skyrocketing. There are few elements that may play a larger role in the mind of the average person than a name, though – it is the de-facto identity of the brand. What exactly should go into this process? How much is aesthetic and how much is technical? We’ll discuss a few important considerations you need to make before settling on a name for your new brand. While to many it would seem difficult to launch a brand or business without settling upon a name, many web-based endeavors find themselves changing names some time after launching. This may be due to further consultation with a PR/marketing company or the realization that the original name did not fit the brand well. Whatever the case, you will now have to start pinging your website‘s new name and information across the web all over again. In terms of SEO and marketing awareness among customers, this can prove to be very detrimental to your long-term business plan. Because of this, you should always spend the appropriate time beforehand to consult with professionals and determine the best name with which to launch your brand. How many characters do you think your name should be? If you are considering SEO and technical aspects, then you’ll want the name to be as short as possible. There are plenty of other aesthetic reasons for this, including logos and font size. It should convey as much meaning as possible without filling up the page or taking up too much of your page’s description in search results. When you think about it: how many successful or well-known businesses have really long brand names? People want something easy to remember, easy to pronounce and quick to speak. When designing your brand’s name, keep this in mind. Some names do better than others with global audiences. If you plan on reaching out to audiences from all over the world, then there are a few considerations you’ll need to make. 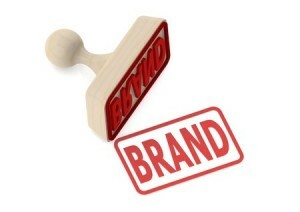 The first is whether or not you’ll want to rename your brand for different markets. This has notable downsides but may be necessary if the brand name you wish to use does not integrate well with other cultures. Sometimes, an innocent brand name in one language can translate into offensive name in another language. For companies and brands focusing locally, however, this will not be an issue. You will be pinging your website, content and brand name all across the web – it should be a carefully thought out process. Before you select any name for your business or brand, make sure to consider how it will be accepted throughout your entire audience, how length can impact brand recognition and if you are truly satisfied with the selection of the name. These considerations will not only make you happy with the selection, but will provide the fundamentals for a successful effort in both aesthetic and technical capacities.